Your guinea pig needs your sharp eyes and overall awareness to tell whether he’s having painful dental issues. Tooth and dental wellness are things that may be overlooked by new or inexperienced guinea pig parents, but they are vitally important to your guinea pig’s well-being. Guinea pigs’ teeth don’t stop growing, so ignoring their dental needs can cause them a great deal of suffering. Without proper tooth care, guinea pigs can develop cuts, sores, abscesses or overlong teeth that interfere with eating. When handling your guinea pig, check on his teeth and see how things are looking. If you aren’t sure what you’re looking for, read on. It is also worth noting that guinea pigs tend to have white teeth as opposed to other animals’ teeth in the rodent family, which tend to be yellow. Think about how much it hurts when you have a tooth abscess or a cut in your mouth – your guinea pig will feel the same type of pain. He won’t want to eat because it hurts. Always monitor how much your guinea pig is eating so you know what’s normal for him. This way, when you know his normal, you’ll immediately know what his abnormal is. Malocclusion, or misalignment of the teeth, can happen in guinea pigs. Other issues your guinea pigs may experience include elongated roots (the roots of the teeth grow or are pushed into the jaw) or cracked/broken teeth. Guinea pigs have 1 trait that is extremely helpful in preventing malocclusion — chewing! 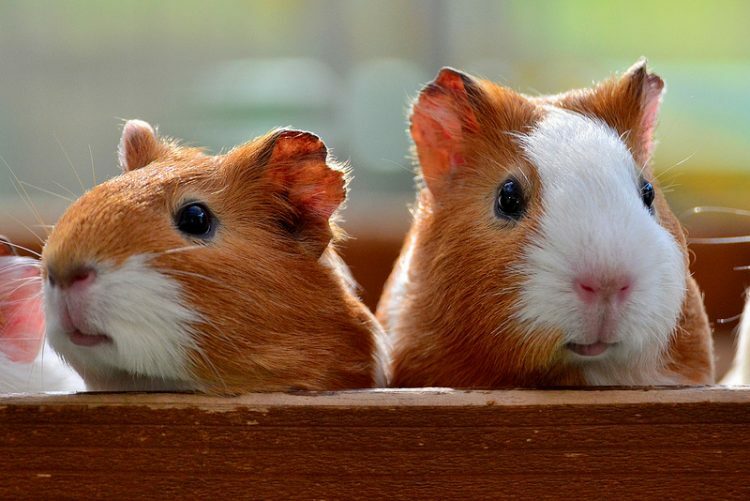 Giving your guinea pigs wooden blocks or sticks (untreated wood only) to gnaw on in their cages will help them keep their teeth at the right length. “In a healthy guinea pig, the biting, chewing and grinding of food (especially hays, grasses and abrasive foods) will normally keep the teeth at the proper length — a length which varies somewhat from one guinea pig to another,” Guinea Lynx adds. Despite your best efforts, your guinea pig may still end up suffering from malocclusion — it can be a genetically inherited trait. Your vet should be able to treat malocclusion, cuts and sores, abscesses and broken teeth — and even engage in a little bit of teeth filing — for your guinea pig. 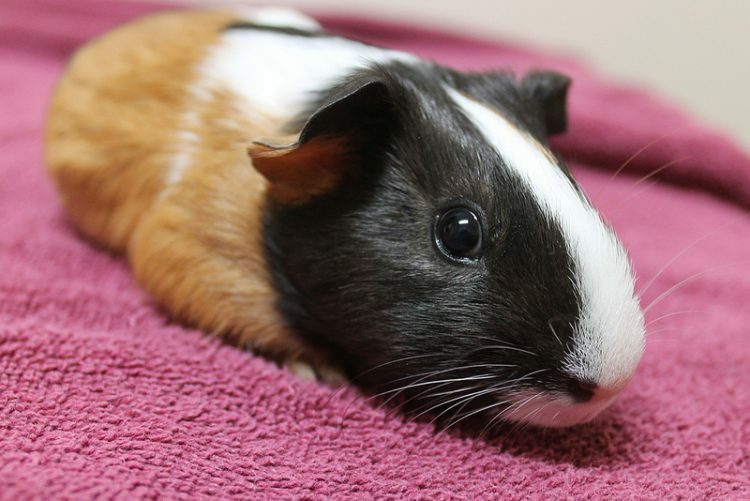 It’s also a good idea to call the vet if you notice your guinea pig has changed his eating habits or is losing weight — there may be an issue, such as elongated roots, that you can’t detect. As guinea pig guardians, it’s up to us to ensure that they’re happy and healthy in all ways, and that includes their dental needs. Luckily, a guinea pig’s love of chewing and your sharp eyes can help catch and prevent many issues before they become serious problems.